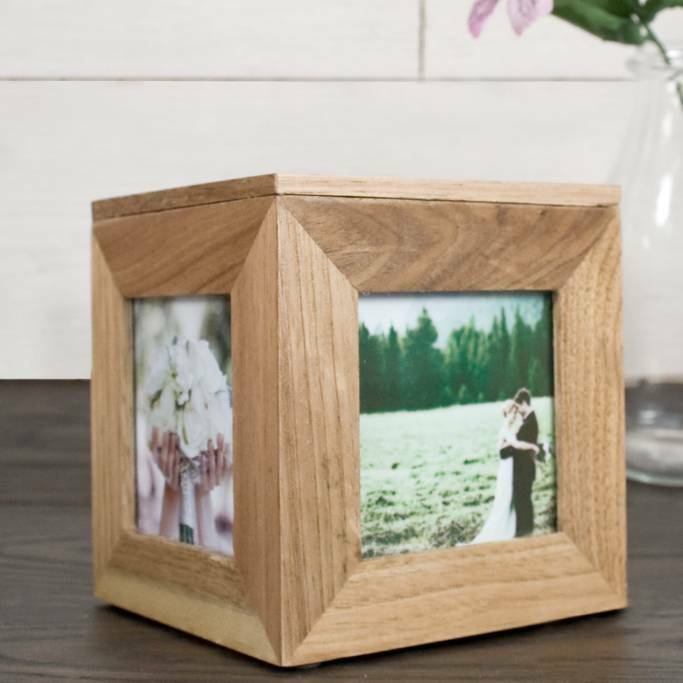 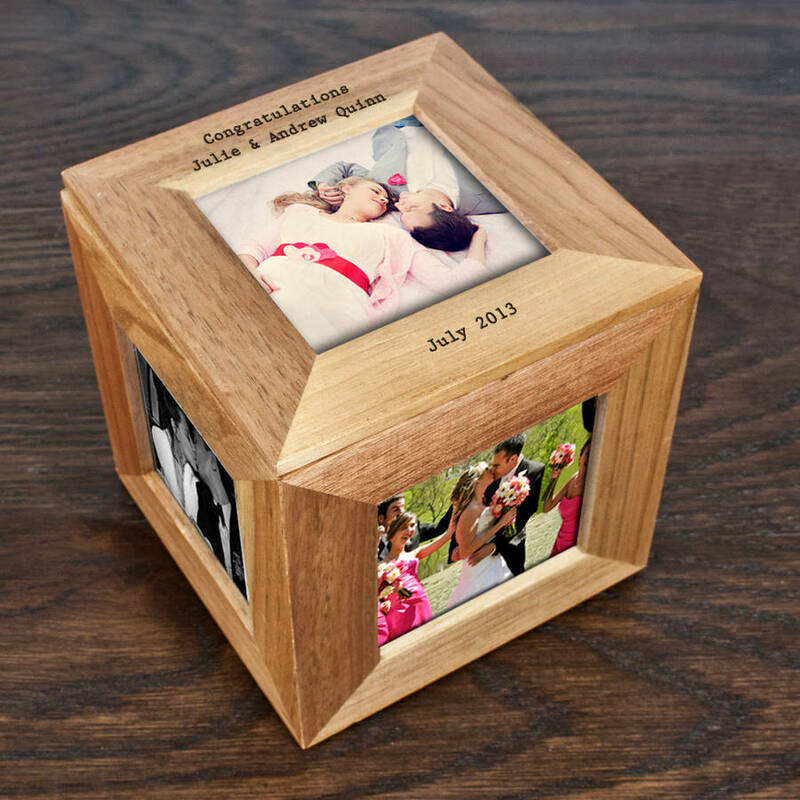 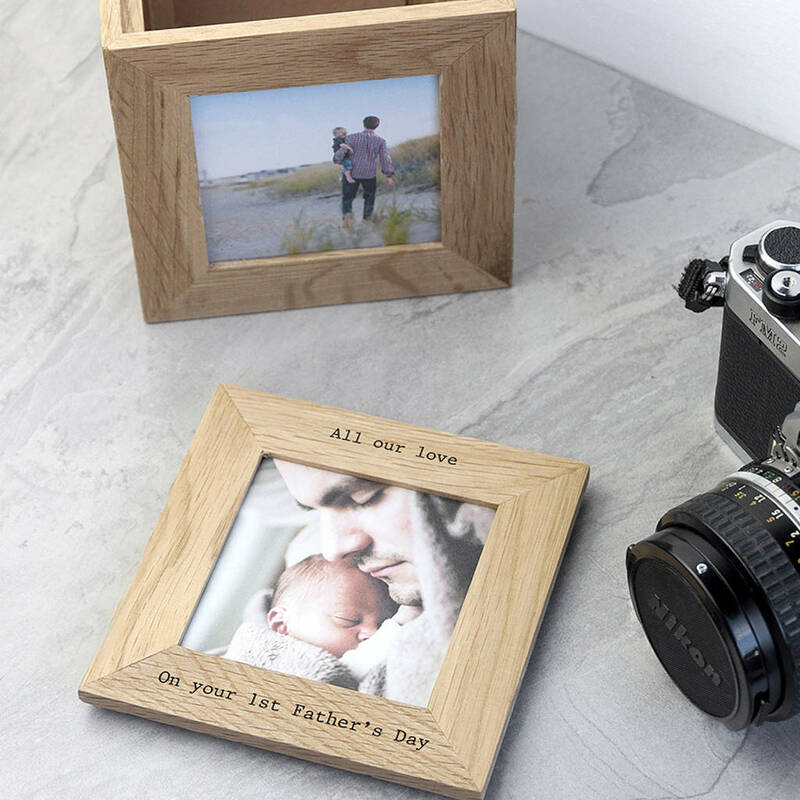 Our Personalised Oak Photo Cube Keepsake Box is a fantastic way to display your special memories. 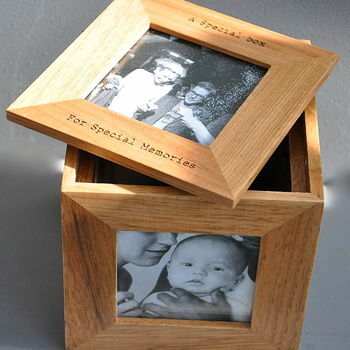 There is space for 5 photos of your choice, each photo section holds photos sized 7.5cm x 7.5cm. 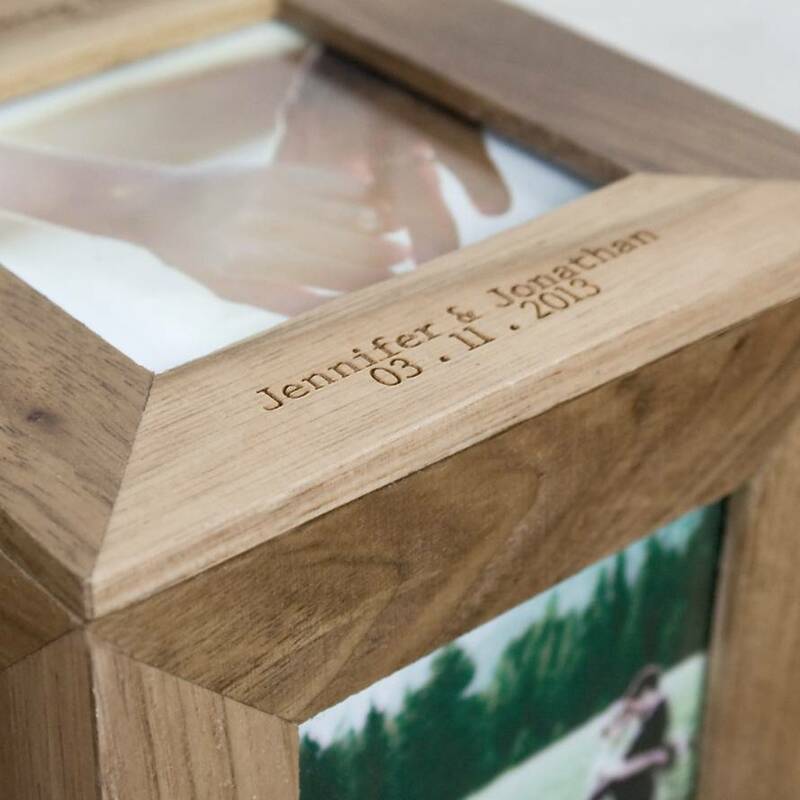 The box has one segment that comes away from the rest for easy access to the box inside , and the photos are very easy to change. 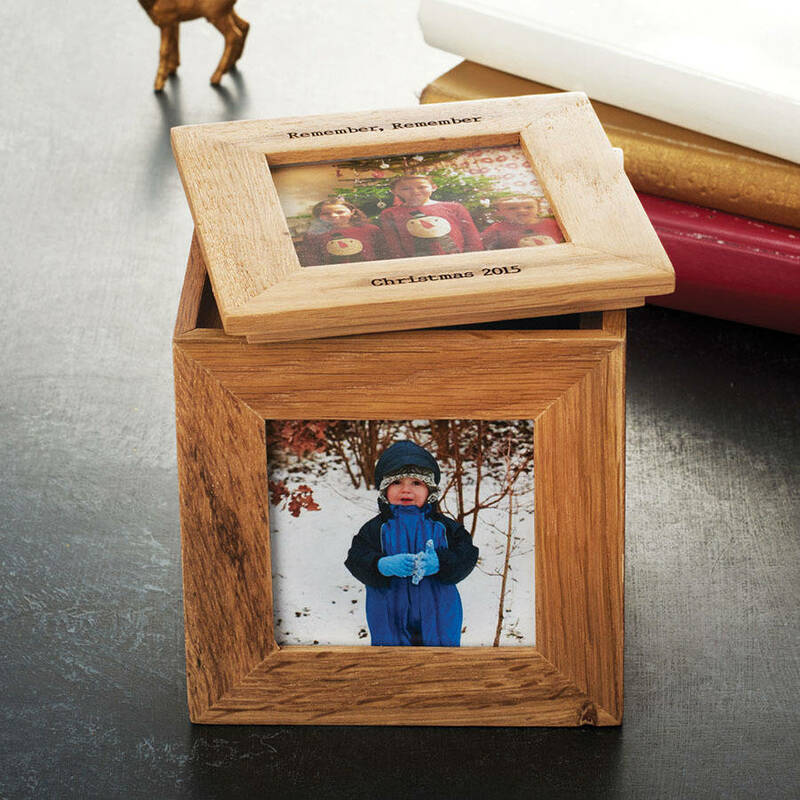 It works just like a photo frame so you can easily unclip the back and change your photos around.